Innovative car parking solutions. That’s Ace. Our Ace E-Quip team are your one-stop shop for all car park equipment needs and we uphold the highest standards of maintenance. We enjoy close relationships with core suppliers, always striving to develop best practice solutions for our clients. 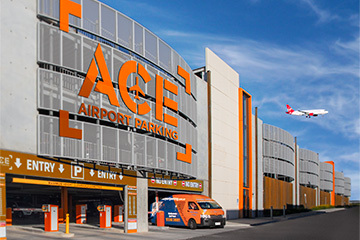 Our diverse range of providers, including CDS Worldwide, Skidata, Scheidt & Bachmann, DataPark, Zeag, Amano, Designa, Stentofon, Commend, Jacques, Access Soft, Colleagues, TMA Group, Database Consultants Australia, Smart Parking and Q-Free assist us to deliver cutting edge, intelligent car park systems. Ace E-Quip also has a team of qualified tradesmen on standby, if required for service and upgrade works, with the added experience and flexibility to work with any preferred supplier. Ace E-Quip is also highly experienced in providing the most innovative, cost-effective and efficient technology solutions which can be easily integrated into clients’ existing systems. We work closely with suppliers to source, supply, manage, support and improve car parking equipment and technology for our clients. Our eBooking system, Licence plate recognition (LPR) technology and bay guidance system solutions are increasingly popular with clients who want to modernise their operations. Pay & Display ticket machines provide a cost effective solution for any parking environment where a traditional boom gate solution isn’t feasible. Pay & Display enables the simple pre-purchase of a parking ticket, with Parking Patrols available to minimise unauthorised parking. Take advantage of Ace Monitoring services to utilise our remote monitoring capabilities that are serviced by our remote monitoring and control room, allowing 24-hour assistance to any customer queries. 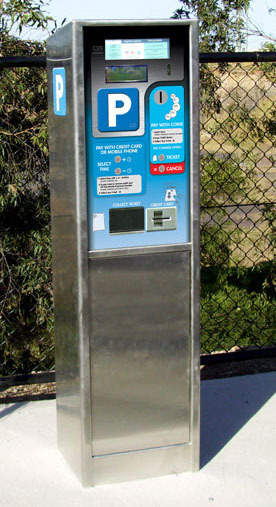 The flexible Pay & Display ticket machine option provides coin, credit card, mobile phone and stored value card payments. M-Commerce, or Mobile Payment Technology provides customers with the opportunity to pay using their mobile phone. Customers are provided with SMS reminders notifying them when their parking is about to expire and providing the convenience of mobile top-up payments for additional parking time, without needing to return to their vehicle.